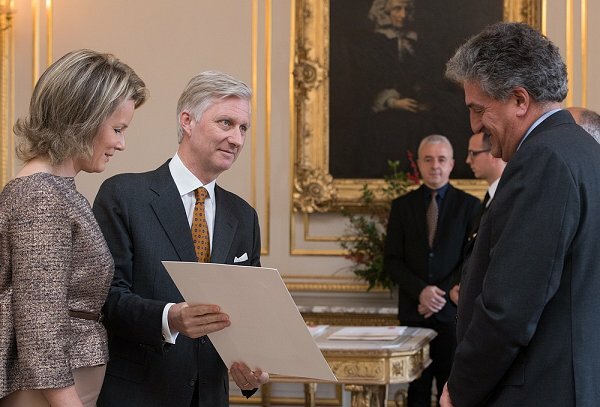 Queen Mathilde and King Philippe of Belgium held a royal reception for newly appointed suppliers at the Royal Palace on November, 23 2016 in Brussels. 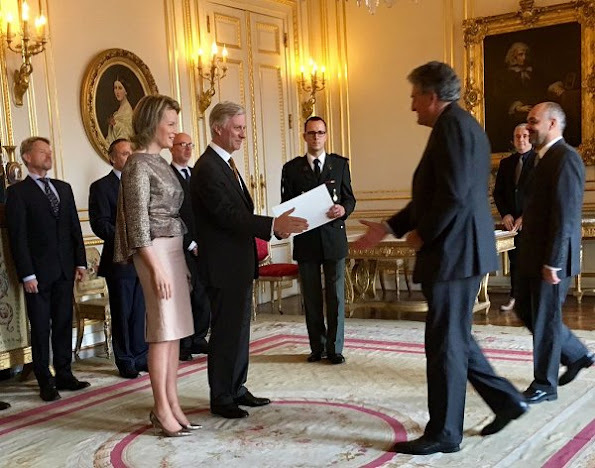 Queen Mathilde recycled a Natan top and skirt combination. Very elegant. Good colors to her.